The collection included many tales which have transformed into well-known stories, or even sayings. A bird in the hand is worth two in the bush; the tortoise and the hare; the town mouse and the country mouse. 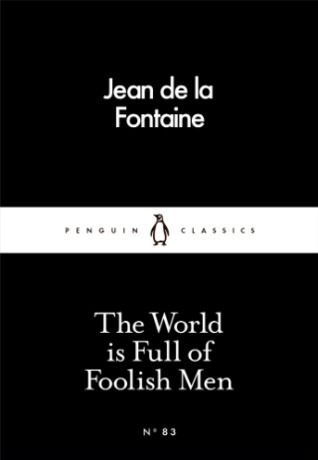 I enjoyed knowing these tales in advance, and yet reading them for the first time in de la Fontaine’s words. The illustrations here were also a complete bonus for me; they were gorgeous. I particularly enjoyed the ant in the dress. My favourite tale was that of a gardener becoming friends with a bear, which had a disastrous, yet hilarious, finale, and put across the moral of choosing your friends wisely. I was given some rather scathing and old-fashioned opinions of women, which I will grudgingly forget due to, y’know, the seventeenth century. A lovely collection of illustrated fables with some old-fashioned morals alongside some which will stand the test of time. A true worthwhile addition to the Little Black Classics range. An enemy with common sense Is far less dangerous than a friend who’s dense.